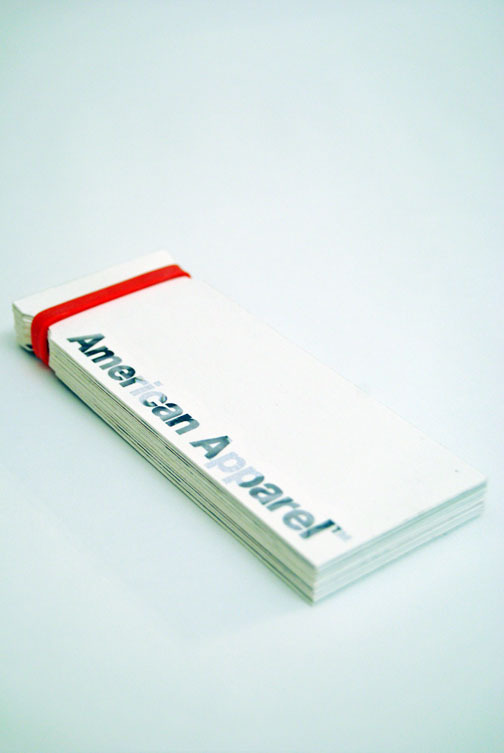 A set of collector cards for American Apparel. The cards serve as a small compilation of the beautiful hipster girls that grace the pages of their ads. I scanned pictures from the the back of a calendar(approximately 2x1inch in size). The pictures were made to be viewed small, so when I blew them up you could see the halftone dots that made up each picture. This gave the imagery a grainy quality which fits in well with the the company image. The cards were designed to be small, handheld, and minimalist. I put divets on each card so they could be held together with a rubber band (that is a bright color of course)....Its like having a gang of hot hipster girls in the palm of your hand.